Only a 15 minute journey for us to get to this fantastic pile. The very first time I visited the property it seemed harshly formidable in its appearance, kind of reminding me of some institution for children not a family home in the way it presented itself. You could imagine some cane thrashing headmaster stood waiting for you in the doorway, it even has the word GHOST about the roof! To be honest, I didn't like the look of the place, but I warmed to it after a while. After a few visits down to the garden and lake changed my mind, it really is a glorious place. 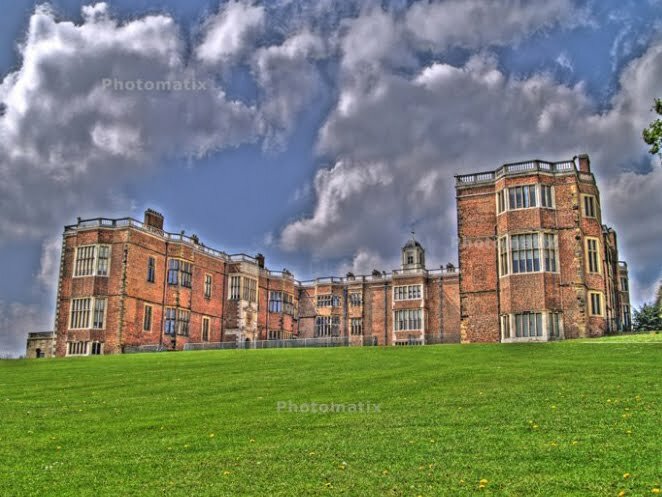 Temple Newsam near Leeds is a 15th century Tudor-Jacobean mansion, is had been nicknamed 'Hampton Court of the North'. It was the home of the Ingram family for over 300 years. 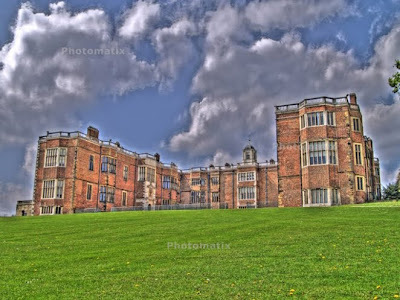 There are some creepy cellars too which date from the Tudor period about 500 years ago and run the whole length of the south wing of the house, also an underground passage beneath the courtyard that links the north and south parts of the house. Originally this passage allowed the servants to run around from the kitchens to the dining room. Visitors have reported seeing a monk and a little girl, also people have heard knocking on doors when there is no one there and being pushed out of the way. The ghost most spoken of at the house is the Blue Lady, said to be Mary Ingram, her portrait painting can be viewed in the house. Mary was robbed by highwaymen on a journey back to her house, she was so shocked and scared by what happened that she acquired a paranoid habit of hiding her belongings in various parts of the house. A picture of Napoleon flies off the wall in-front of visitors and staff for no apparent reason when securely fastened. Allegedly there is another ghost, said to be that of a young servant girl who was murdered by an over amorous male servant in 1704.